Can someone explain what led the defendant to do this? And this is supposed to be "fashion"? Omg!!! 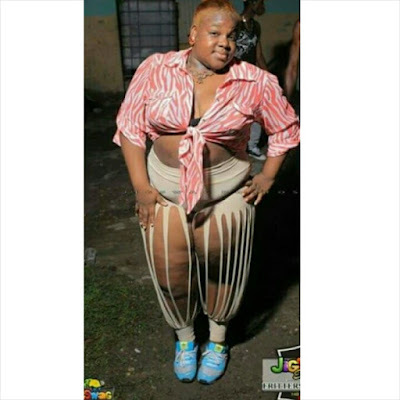 I can't deal this lady is a disgrace to us big beautiful women, I hereby sentence her to two years in a fashion school. Hahaha..nothing person no go see all in the name of fashion. To her is fashion and for her to take a picture with it means she's hot. Do you long for an extra income aside your normal earnings, here is an opportunity to turn a one time N5000 into a weekly N50000 earnings it real its cheap and its government approved its time to change your financial situation now. Hahahaha,,No comment!! !,, Kindly follow us for all kinds of human hair, pure brazilian, malaysian, peruvian, Mongolian, BB pin- 2BB4FDAF, Instagram- @hairbyglowyqueen ,, you can whatsap us on 07067499533 or call 08054997426,, We also do FREE delivery to all parts of Nigeria!! !